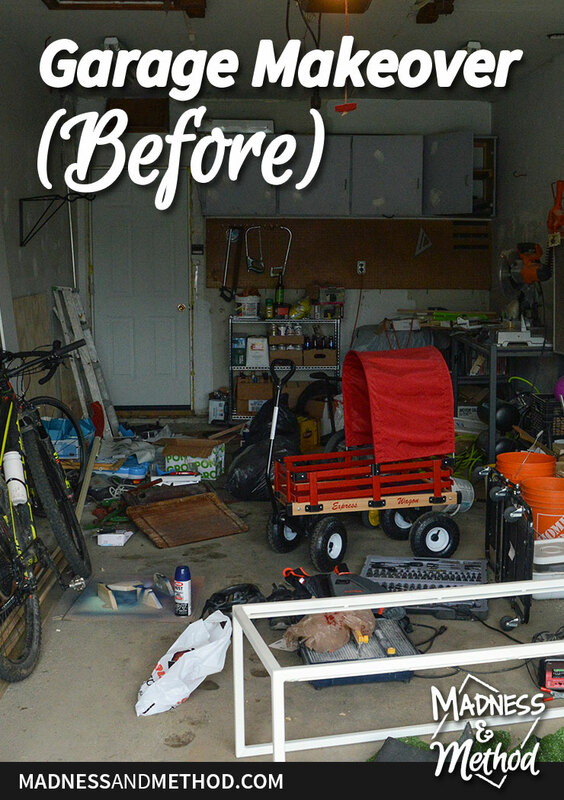 Get ready to see rough pictures “before our garage makeover”. We’re planning on updating it for the Fall One Room Challenge & I don’t know where to begin! Well the title of this post just gives it away, doesn’t it!? 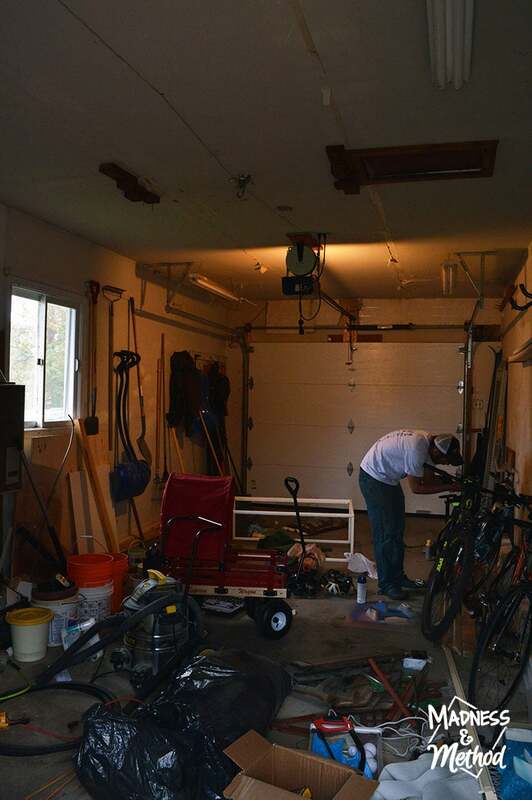 We’re planning a garage makeover for this fall’s One Room Challenge, which starts this week. Only problem is that I haven’t actually planned the garage makeover yet… so this will definitely be a challenge! 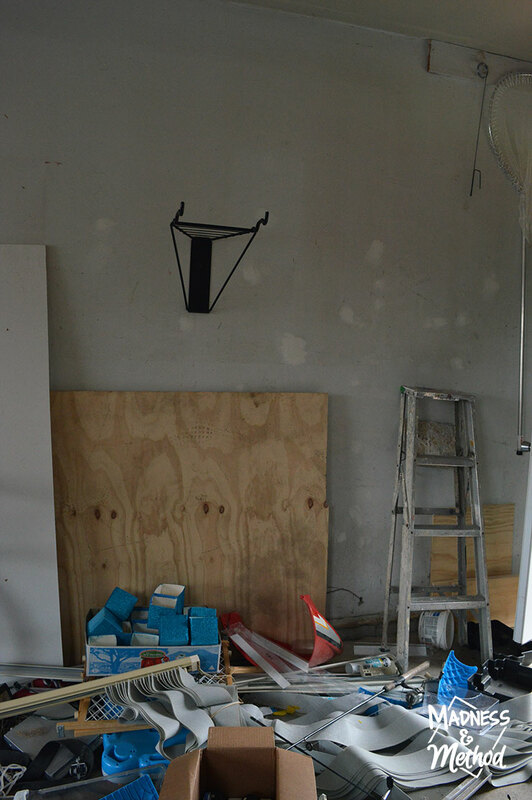 Today all I have for you are the “before” pictures… and trust me… we’re starting with a rough space. 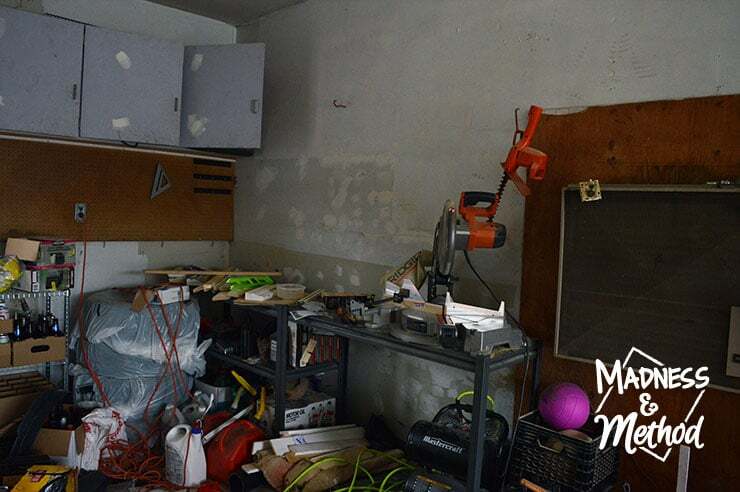 So get ready to see “before our garage makeover” and PLEASE give me ideas of what the heck to do with the space, so I can actually make a good “after”!!! 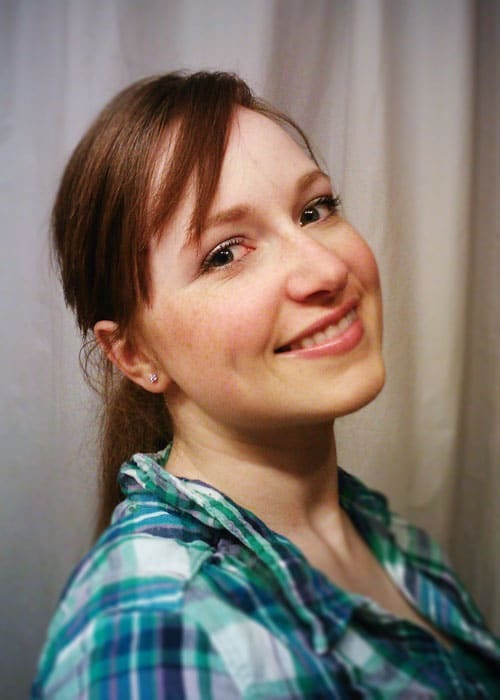 A little background story (okay maybe a longer story, but I’ll try and make it short…). I’ve participated in two One Room Challenges before, first building a half-bathroom in our basement from scratch in Spring 2016, then doing a fun makeover in my brother’s half bathroom this past spring. I don’t want to lie, I was kind of hoping to do a trifecta of bathroom ORC challenges… But guess what? 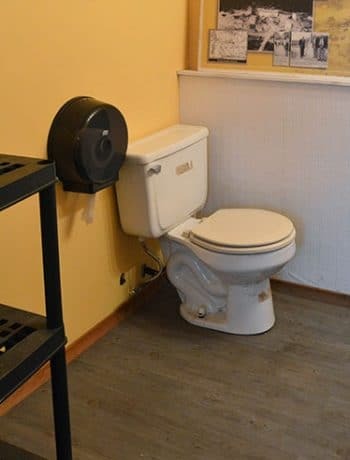 We don’t have any more bathrooms to renovate. While we’ve pretty much renovated and/or updated all the rooms in our house (you can see a home tour video of the space here), there are still a couple of areas that have remained untouched (aka the unfinished laundry room). The Husband is convinced that we will never do the laundry room, while I know it’s going to happen no matter what. I’m kind of waiting for our old furnace to die out so that I can get a fancy one that fits in the crawlspace (opening up a bunch of extra floor area). Because of my never-ending need to renovate and update spaces, I’ve started tackling rooms in other people’s homes (like my brother’s bathroom and kitchen renovation). I tried reaching out to people I knew asking if they had any rooms for me to update for the Fall ORC, but no dice. 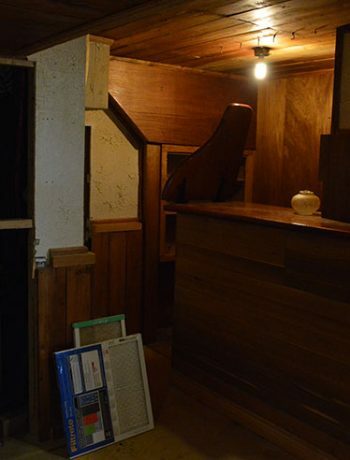 (Although at the last minute, my friend did mention she needed help with her basement… but it would have been another long-distance renovation and I didn’t have enough time to prepare my life). Funnily enough, way back in the middle of summer the Husband mentioned us updating the garage for the One Room Challenge. I said that I liked the garage the way it is (since I’m the one that uses it) and it was good already. Well, here we are at the start of October and we’re kind of stuck with having to update the garage. But, just in case you think we’re doing a renovation just because, let me actually show you some pictures (and maybe you’ll question why I didn’t want to update this space, ha!). Here’s what the space currently looks like. 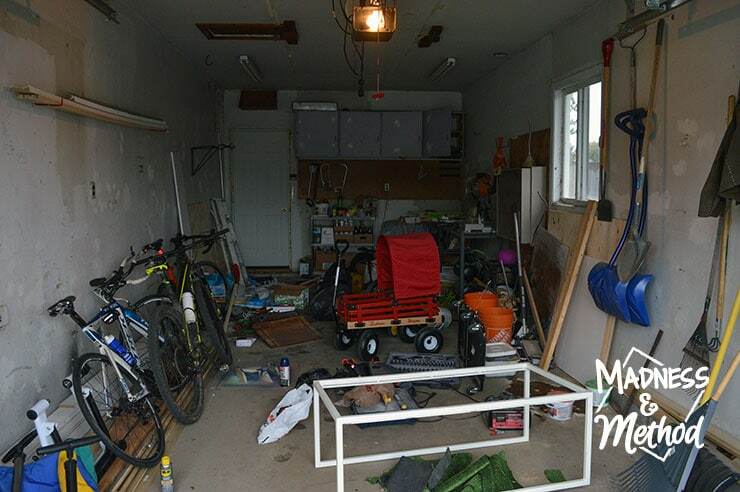 You may remember that we did organize and update the garage few years ago, and we’ve kept the same layout. 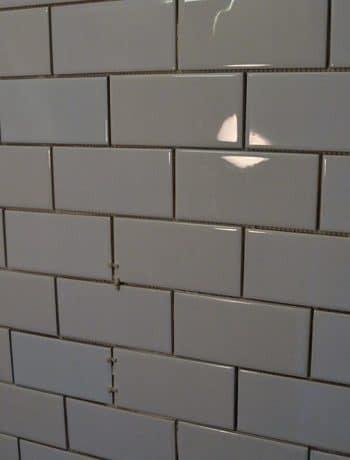 While it’s a “finished” space, it’s kind of rough-looking with patches all over the drywall, dirt, dead bugs, you name it. Did you also happen to catch that huge oil spill on the ground? The Husband likes to change his own oil, but he ALWAYS makes a mess and isn’t the best at cleaning it in a timely manner. We’ve added some new hooks and wall storage this summer, so a lot of the tools have somewhat designated spaces, rather than just being shoved in the corner. The back left area is usually the most open, although that’s also the spot where we store our needs-to-be-thrown-out stuff (aka all the garbage on the floor!). I bet you can pick out some old projects I’ve talked about before, like our wedding vases and dining room blinds. 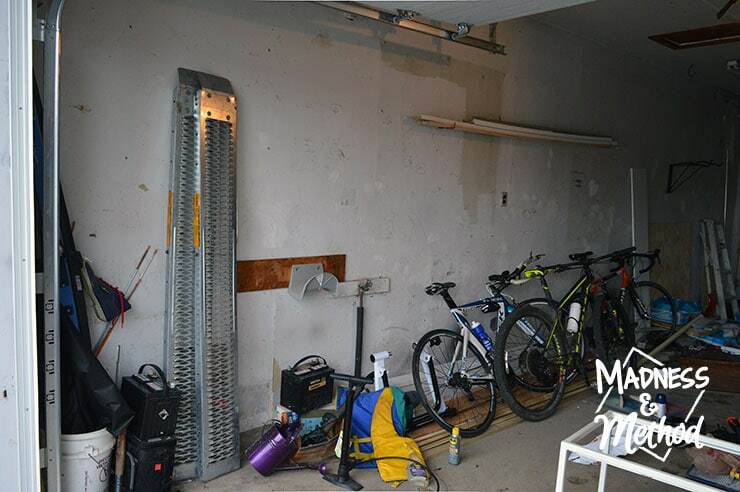 This was supposed to be where the Husband hangs his most used bikes (yes, he has multiple, and yes there are also some in the shed…) but clearly he can’t reach the hooks with all the stuff! This is my working space, and I do try and keep it organized so I can quickly go in and cut material for projects. This is the main reason I didn’t want to update the garage, because I already really like this layout and don’t want to change it much. There used to be wooden cabinets in here that we removed last time we organized the garage. We thought keeping the upper cabinets would be really handy, and while we do use them for storage, I can’t actually reach anything on the top shelves without a ladder! (So they’re pretty much empty). I’m thinking we can take these out and do a much larger pegboard storage area. Looking back out into the garage from this angle (and with the door closed), you kind of see the whole space again. While I don’t have a design plan yet, I know that taking out the garbage would really make the space look a gazillion times better. (Plus I have some projects that I need to work on, and those are also taking up floor space!). Oh, the other thing I want to do again? Park my car in here! 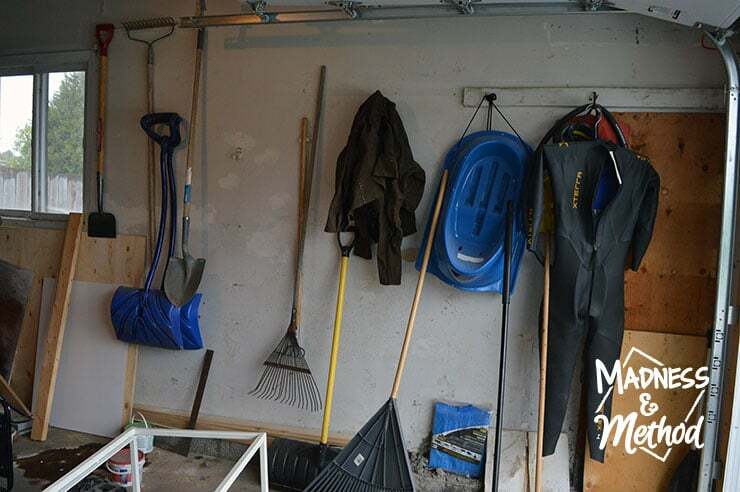 That will definitely be the main incentive for getting this garage properly organized, because winter is coming… and I HATE having to clean snow off my car! Wish me luck, send me ideas, and let me know if you’ll be working on a space too! 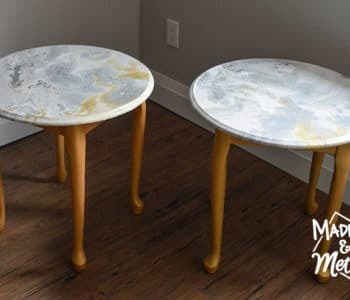 Oh, and don’t forget to check out the One Room Challenge participants this round, and all the linking bloggers (like me!). 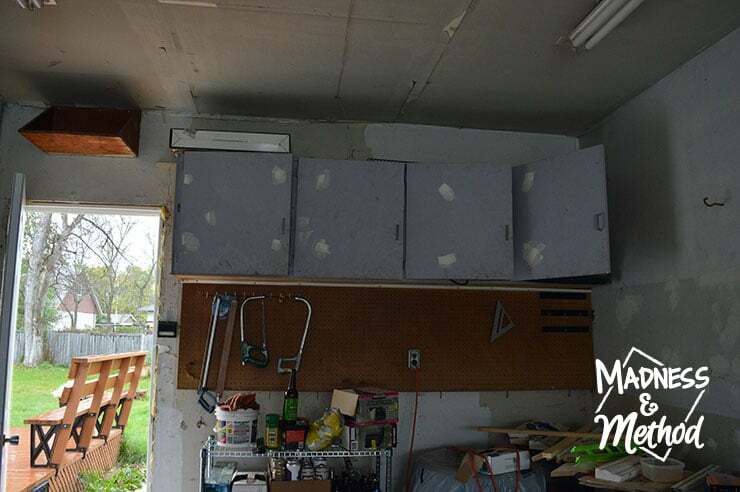 I just did a mini garage makeover myself – https://100things2do.ca/she-shop-garage-workshop/ and I managed to come in on an uber-cheap budget! 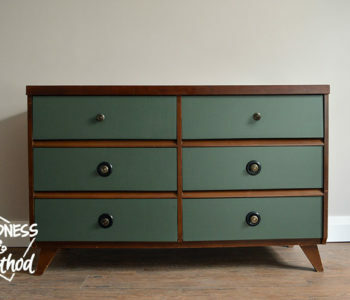 There’s also another blogger – SemiGloss Design – https://www.semiglossdesign.com/orc-fall-2017-vintage-inspired-garage-plans doing a garage makeover – so I think you have made a BRILLIANT choice for your ORC.